Sen. Kamala Harris (D-Calif.) on Tuesday said that she believes the U.S. is "absolutely" ready for a woman of color to be president. What's in a color? What she wants is a zebra or an oreo for pres! Though Michael states she isn't interested in running, I think we'll see her in 2024. 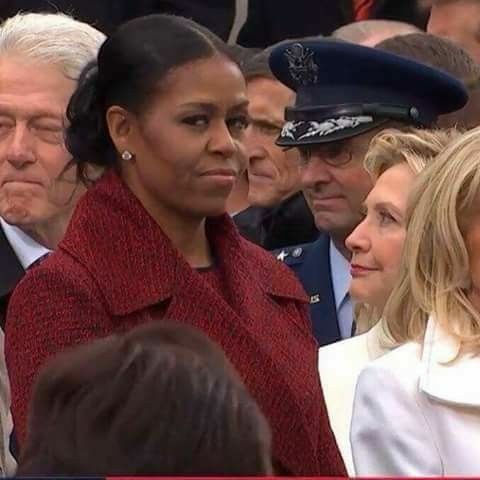 She knows she can't win against Trump in 2020, and won't attempt it till later. She'll keep making speeches and writing books to stay relevant and to ensure that the press keeps her in the spotlight. Oh, and she'll continue to wear outrageous crap like the boots she just wore so she'll remain America's liberal style icon. I won't be surprised to see her run in 2020. And sadly. I think she can beat Trump. Maybe, but it won't be you or Moochelle, or any of the rest of you socialistas in the demonrat party, and certainly not Fauxcahontas! Sure. I'd vote for Condoleeza Rice. Condoleca Rice will never run. Michelle will. She is positioning herself for that very thing. Expect her to run for Senate and follow in HR Clinton's footsteps. No way America votes the bimbo president. It will be Clinton again in 2020 to be defeated brutally by Trump. The Dems are their own worst enemy, thank God!